Here in Soto del Real Prison, in the foothills of the Sierra de Madrid, the days have begun to get really cold and the nights even colder. Surprisingly, however, the heating only seems to work in the visitors’ area where we meet our relatives and lawyers and not on the prison wings. It is clearly a way of making visitors aware of the prison’s supposed warmth. 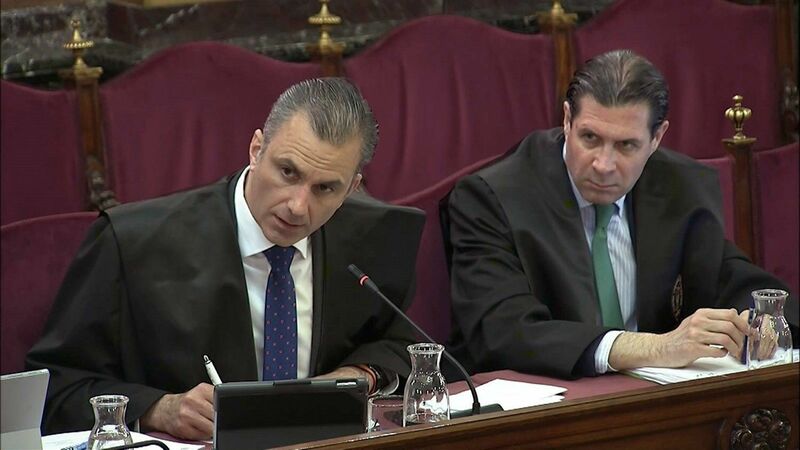 I don’t know if the Belgian prosecutor has asked for information as to the heating arrangements in Spanish prisons; maybe someone ought to tell them that the cells have no radiators, that the walls are made of cold, bare concrete and that the windows let through a terrible draught. Meanwhile, in the common areas, the few radiators that do exist, are, for the time being, purely decorative. Very eco-friendly and sustainable, I’m sure. Since we inmates can go around the prison in thermal underwear, fleeces and parkas, why waste energy? In total contrast with the freezing jail, the warmth which truly gives me strength and lifts my spirits, is the heat that comes from so many places, streets, balconies and theatres all round our country. 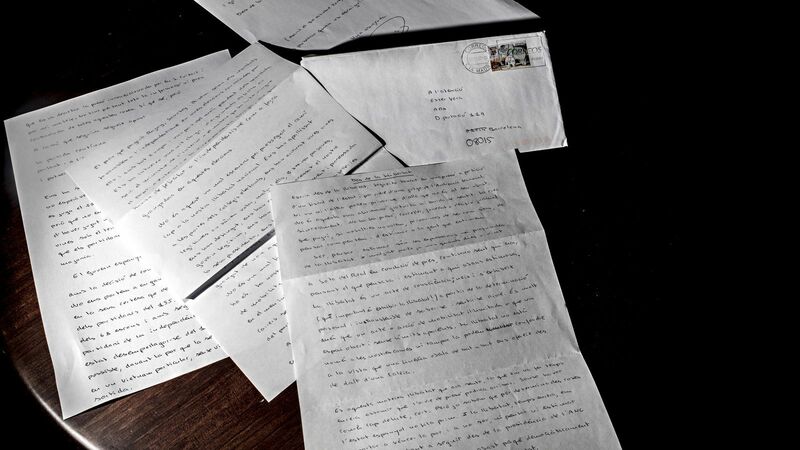 A warmth in the shape of letters and thousands of words and so many images which often fill me with emotion and which are always gratefully received. 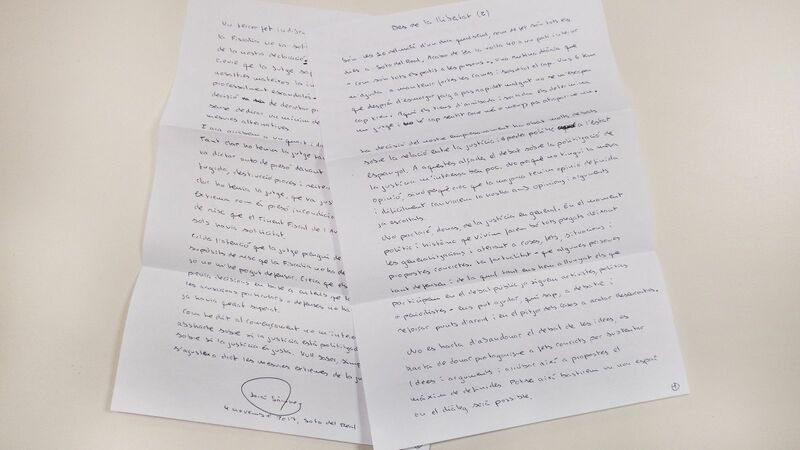 Speaking on behalf of myself and everyone else who is behind bars or in exile in Belgium —thanks to Judge Lamela’s ruling—, we are so grateful to you for such solidarity and love. I am eternally in your debt and I know that I will never be able to say or do enough to repay everyone for all the help you have given me. My daughter, Abril, just 11 years old, lent me her voice on Carrer Marina on 11 November to say: thank you for not forgetting us. Nevertheless, I would also like to encourage you to never forget the true reason for our struggle, the reason for which we have reached the point we are at now. Our release from prison is one demand. It may be a moral necessity, but it is incidental. It must never obscure or silence the democratic and national call for the Catalan Republic. 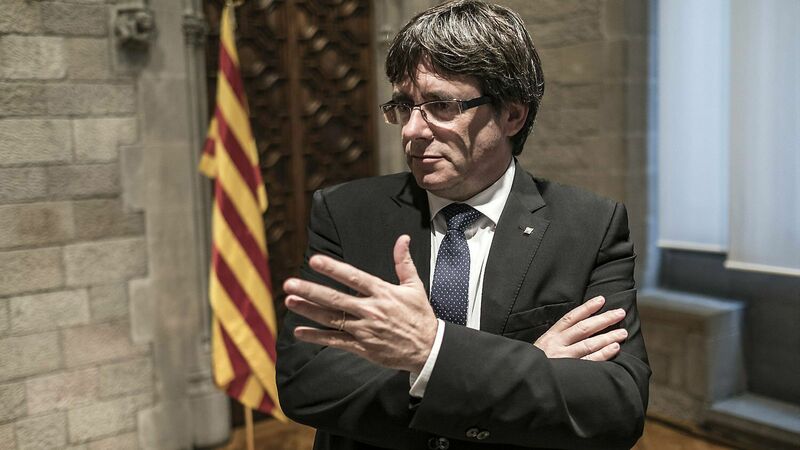 Nobody must believe that everything will be resolved once we leave prison and President Puigdemont returns with dignity and without risk of facing arrest. We have arrived at this point thanks to a collective commitment, serving as shining example to people around the world, to exercise without surrender or delay the legitimate right to self-determination. We wanted to vote and we voted and we will vote again as many times as it takes until we get the recognition we deserve. Our journey so far has not been in vain and neither is the pain we have suffered. 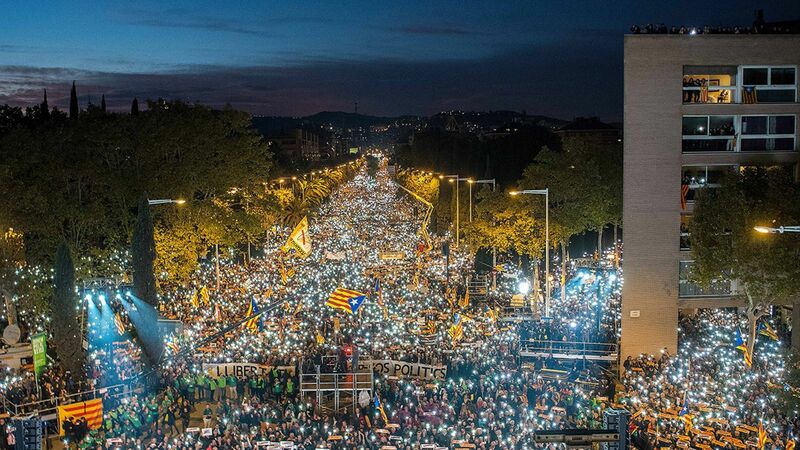 The force of the light defying the darkness on 11 November on Carrer Marina is the greatest metaphor for what we can do to challenge the authoritarianism that appears inevitable and unbeatable. In the same way in which we turned the darkness into an enormous carpet of white light of hope, we will be able to defeat this authoritarianism in sheep’s clothing. Spain wants to play with us on the limits of democratic principles and it often plays outside of the line. It confuses and creates confusion between legitimacy and legality. Shaping legality to its own ends, it blurs and twists principles and procedures which up until now had respected the rule of law. And all because it lacks the democratic courage to let the ballot boxes speak in a referendum. And all because of their insistence on systematically ignoring the millions of voices that have taken to our streets both peacefully and civically since 2010. With self-rule suspended, prison without parole in force, with a new brand of criminal created thanks to legal trickery combining fragments of the Franco-era Criminal Code with the current one, with public opinion misled by images of supposed economic catastrophe, not to mention genuine pressure on and boycotts of Catalan products in the Spanish markets (I would urge people to look into the way in which Mercamadrid boycotted Catalan fruit during the month of October), someone might be tempted to think that, after all the steps the Spanish government has taken, the problem Spain has with Catalonia has already been resolved. They would be terribly mistaken! 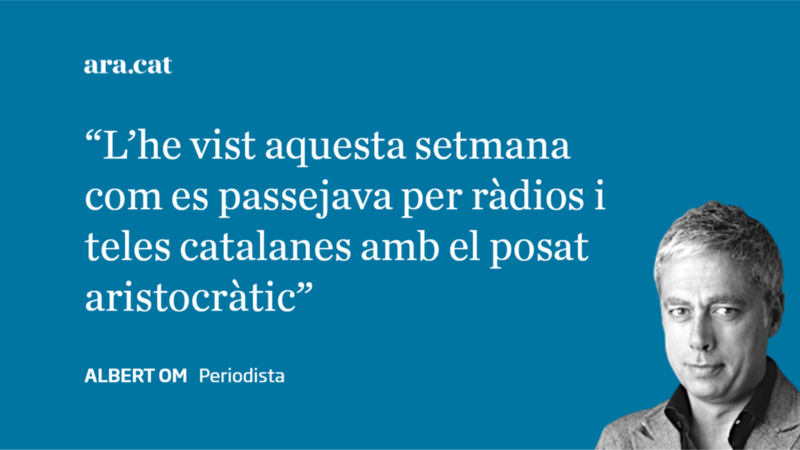 The democratic aspirations of the majority of the Catalan population will find new ways to move forward. Let no one doubt it. In the same way as water always finds its level, so too will we. There is no way to contain the will of a country when it is expressed and manifests itself in the way we do. On the street and at the ballot boxes. We saw it on 1 October in scenes which no one had never dreamt of. And we'll see it on 21 December, when we will once again show the world our will. Our secret is that we have no secret. We know what we want, we know how we want it. We have shown it to the world and we have explained it to everyone who was willing to listen. With our determination and perseverance we will emerge victorious. Every just cause has won in the end because they have never given up. Neither will we.